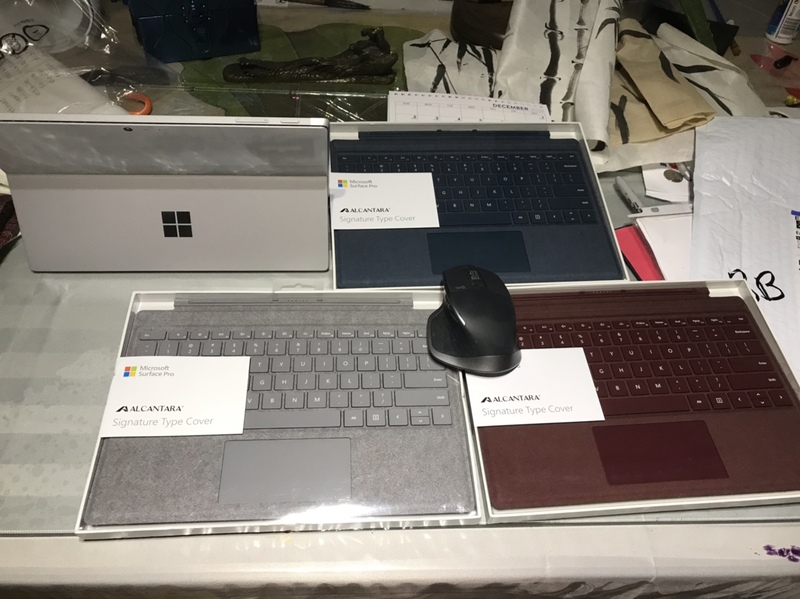 I’m so confused, before my SP3 is dead , I bought 3 signature type cover and a pen on Black Friday from Bestbuy, they’re insane deal, each comes with office 365 home edition for $80 tax in, can you believe that. I thought I will use one of type cover on my 4.5 years old SP3, but my SP3 died on Dec 2. ): . I have to buy SP6 from Amazon. So right now I need to choose one of color type cover to keep, other two go to kijiji, please give me some advice, Thank you so much. I, personally, prefer the Burgundy. Second place is the Platinum, leaving the blue in last place. If, however, you work in a dusty or dirty environment I'd probably go with the blue as it's going to get all messed up and won't (possibly) show as much as the other two. The burgundy, with the stylus and Microsoft mouse, do look very nice. I went for the burgundy... don't regret it at all. Been using mine coming up to 2 years and it hardly looks marked. 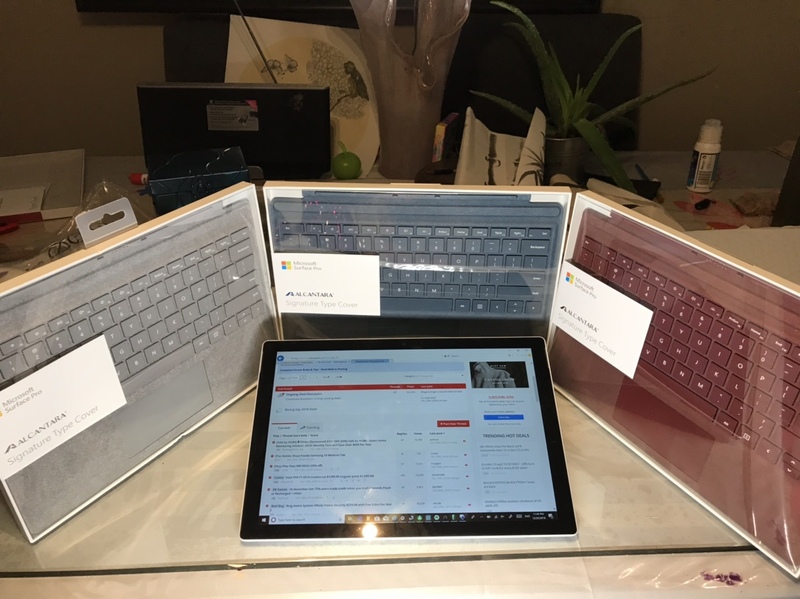 When will the 256gb version of surface go be available in the USA? Battery Life, a short comparaison of WP8.1 "Denim" vs W10M "FCU"